Susan Moody (Barcelona, Tiburon CA) is a founding member of Swim4Good. Sooz joined the YMCA swim team in Winston-Salem, NC at age 6, where she swam competitively and by age 9 she was the state champion in 50 fly. 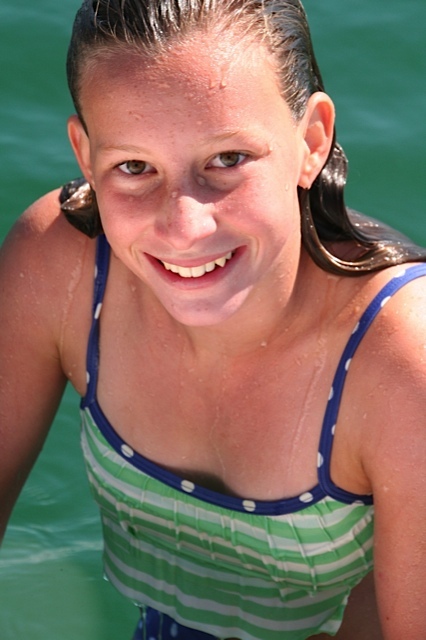 At age 17 she was ranked nationally in 200 fly with a 2:06 time at nationals. She swam for Princeton University 1990-1994, period during which the team remained undefeated and was captain in 1993-1994 and led Princeton to win the Easterns two years in the row. 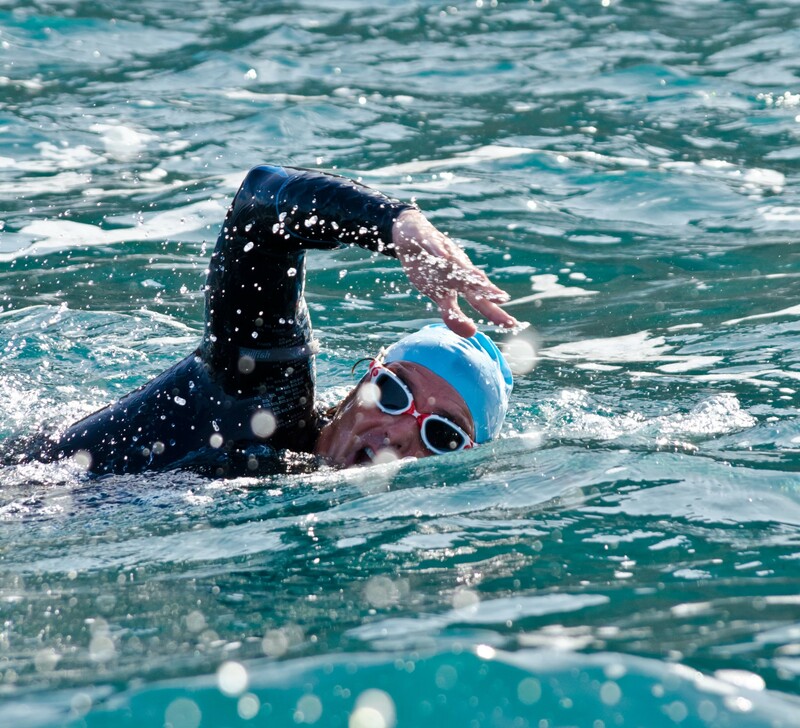 Susan completed a Strait of Gibraltar solo swim in July 2013. 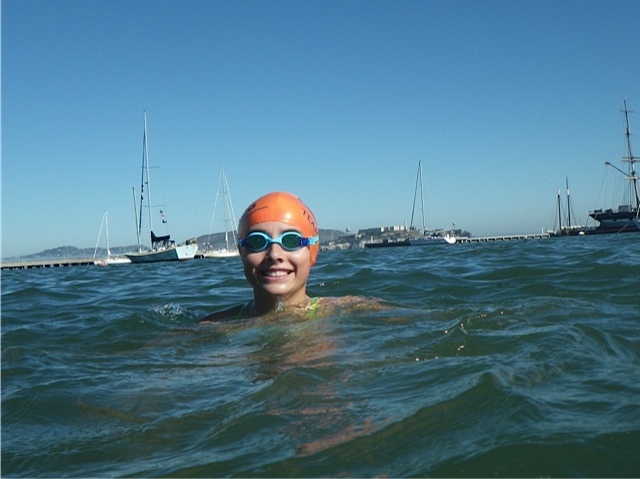 She is also a member of Night Train Swimmers, a team of San Francisco Bay Area extreme open water swimmers who work together to improve the lives of people around the world by raising money for various non-profit organizations. 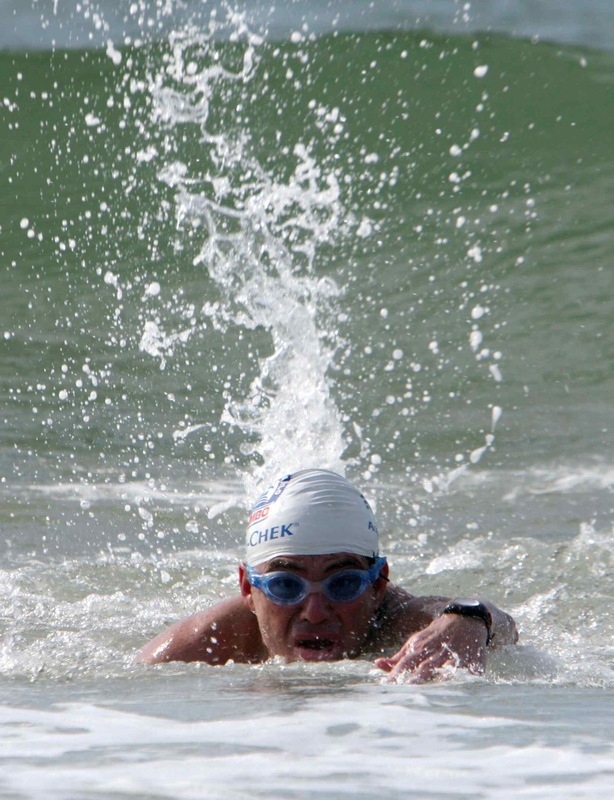 In June 2014, she participated in a 6 swimmer relay swim to attempt to cross the Sea of Cortez (162km), a joint swim between Night Train Swimmers and Swim4Good. Emily Kunze (Barcelona). A founding member of Swim4Good, Em started swimming competitively at the age of 5 and a few years later began winter training at the Summit YMCA (NJ). Emily swam 2 seasons for the Kenyon College, where both the Men’s and Women’s team held Division III NCAA consecutive titles. During her last year on the Kenyon team she was named to the Academic All American National Team and swam on the 400 freestyle relay making a conference record. 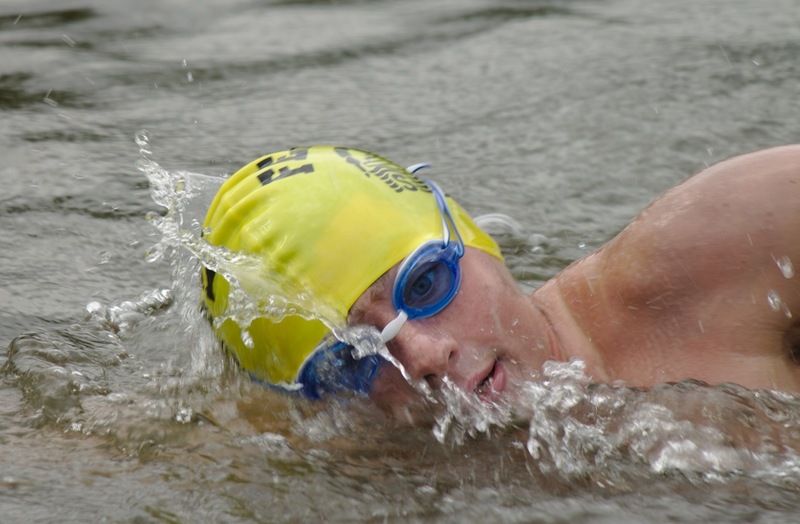 Emily completed a Strait of Gibraltar solo swim in July 2013. Alberto Compte (Barcelona). Until a few years ago, I would have never imagined that I would be as intensively dedicated to open water swimming as I am today. It all started in 2011 as a simple form of entertainment. A way to be active while on a family vacation in Formentera. It was there that I discovered swimming and since then, it has become an important part of my life. The beginnings were intense. That same year, and never having swum more than 2km, a great friend of mine challenged me to swim across the Strait of Gibraltar, which I did in June 2012. Since then, and after meeting Mauricio (in the ocean, of course), Susan, and a large number of good friends that shared a passion for the open water, I have completed a multitude of medium and long distance swims: 2 editions of the Marnaton Cup (6km – 11km), Ibiza 11km, Formentera 11 km and Port de la Selva – Cadaqués 20 km. From now, and with Swim4Good, we’ll see what comes. As my friend Miguel Rahola says, “what’s important is not the finish line, it’s the road that takes you there”. Antonio Argüelles (Mexico City). 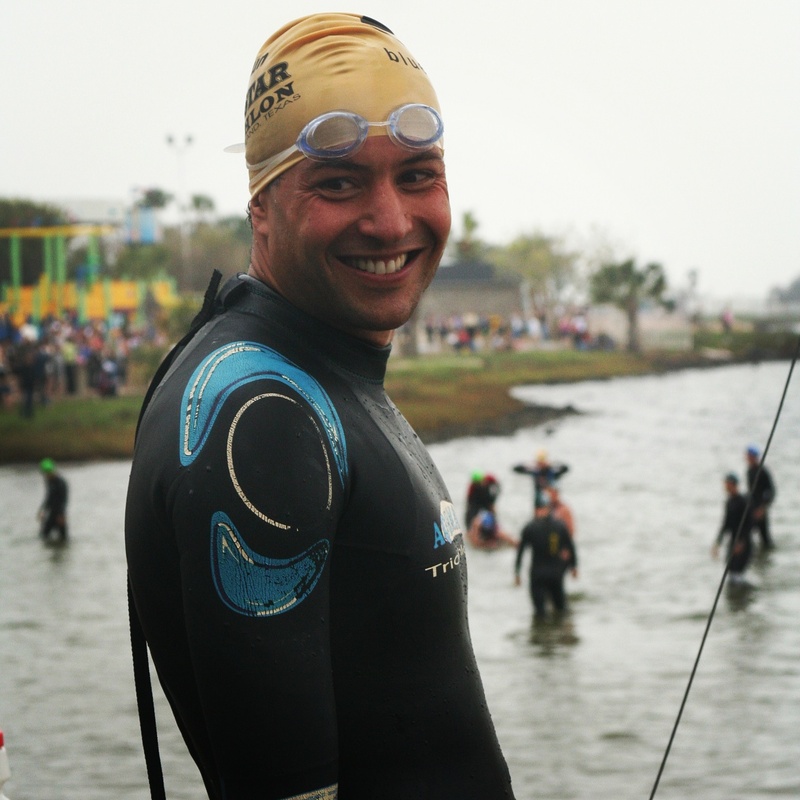 Toño holds several records, such as being the seventh person in the world to complete the Triple Crown of open water swimming, and being the third person in the world to do so in just one season, and the first person to do it twice. He is also a member of the famous Half Century Club. Antonio has dedicated most of his life to promote sports and an active lifestyle among the Mexican population. He has worked mostly on governmental affairs, including informatics, education, and commerce. Antonio’s Openwaterpedia profile. Christian Puentes Jurado (Barcelona). Swimming for me started when I was very young as a solution “for that very active kid with a quite particular bone structure”. As of 7 years old, my life was going from school to the pool to competitions. I competed in butterfly and IM in the Catalan and Spanish championships until I was 18 years old. My open water swimming was limited to early season training and participation in some classic swims such as Travesía de l’Estany de Banyoles and the Travesía al Port de Barcelona, where I got a 6th place finish. As of 18 years old, I moved away from pool competition but kept contact with the pool as a coach. As a result for my passion for the ocean, I started participating in a variety of ocean swims on the Catalan coast. In 2012, I swam across the Strait of Gibraltar. Then came other long distance swims such as Port de la Selva-Cadaqués (22km), MARNATON Formentera (10km.) La Bocaina (17km.). 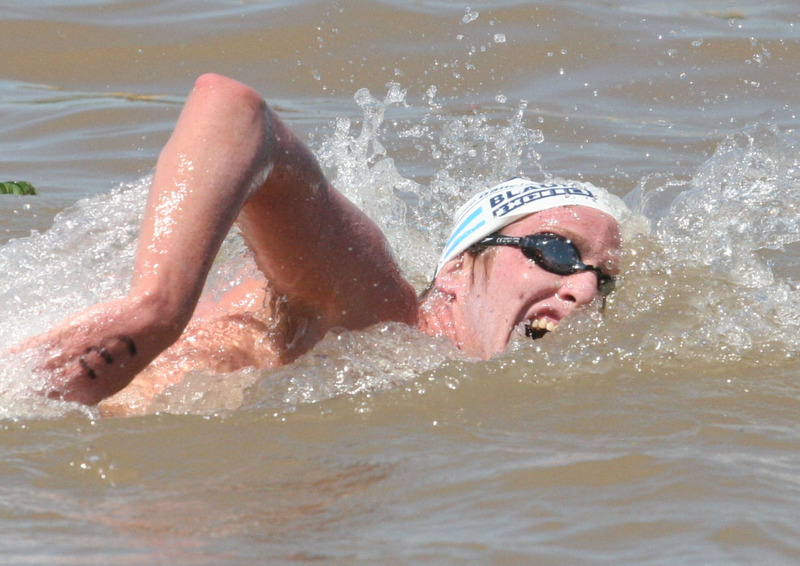 On April 2014, I was one of the 4 swimmers to swim the 4 Marnaton events (22 kms) in a period of 12 hours. David Galceran (Barcelona). Swimming has always been a language I could understand. Water, sea..words I could recognize as my own, silences where I feel joy at every stroke. As a storyteller in a digital agency I firmly believe that life is all about sharing what you live. Amateur triathlete for short and long distances, I am regular pool competitor for several distances and have accomplished several editions of the Marnaton Cup (4 to 11Km seasonal courses), 3 editions of Sitges Port Ginesta 11Km, I Formentera – Illetes 11Km, I Port Selva Cadaques 20Km, and attempting Strait of Gibraltar in April 2014. Let’s Swim4Good! Donal Buckley (Ireland). 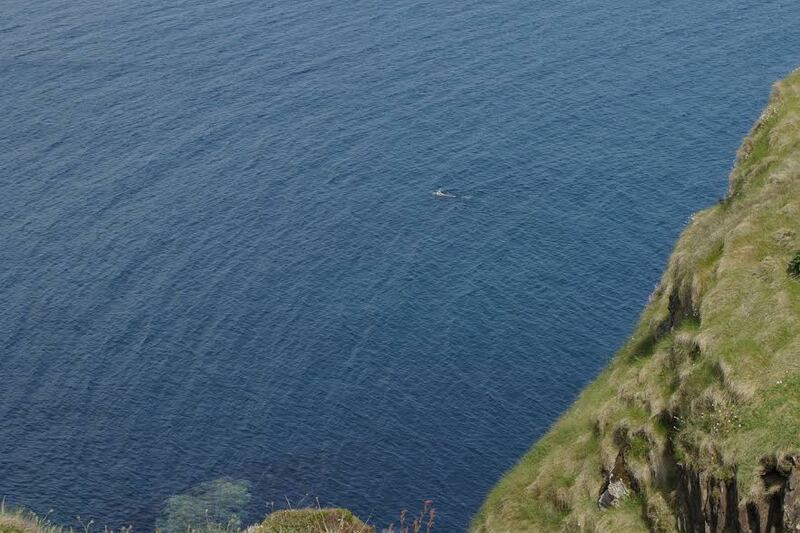 I am an Irish open water who lives and swims on Ireland’s south-east Copper Coast. I came late to open water swimming and prize my English Channel solo above all. I am the writer of the award winning blog LoneSwimmer.com, which according to Mauricio’s Mini-poll in 2013 is the most trusted single-author open water blog in the world. I am also the founder of marathonswimmers.org (the most trusted site) and co-author of the Global Rules of Marathon Swimming, intended to support the sport and assist swimmers and new organisations with a regulatory framework. I like helping people with what I can.The most important thing about all this stuff, is it’s meant to be fun and helping is always fun. 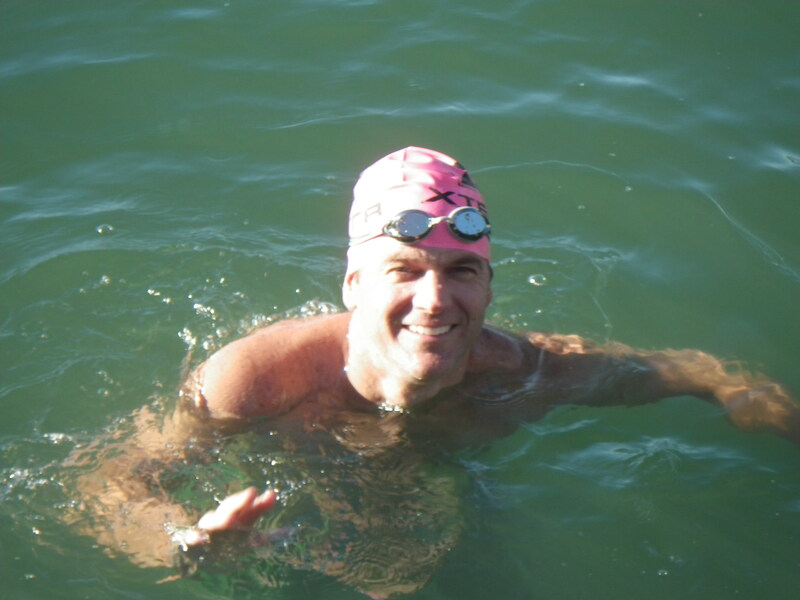 Donal’s Openwaterpedia profile. Guillermo Sagnier (Barcelona). I am passionate about the sea, I enjoy it in every possible way. I’ve sailed tens of thousands of miles on trans-oceanic crossings, light sailing, cruising regatta, or competing in windsurfing. Since childhood I discovered the underwater world with swimming, apnea and spearfishing. Today, open water swimming has become my most intense relationship with the sea. I regularly participate in swims with our amazing group of friends crazy for the open water. My swims include the Strait of Gibraltar, Port de la Selva to Cadaques (22km), the 4 Marnaton crossings in 12 hours and several other of middle and long distance challenges. I look forward to continuing to discover the sea with every stroke. Jordi Cañellas (Barcelona). I started swimming when I was 8 years old in school and continued until I was 13. I did well and won some medals in Barcelona and Catalunya championships. I left the water and started playing other sports, including 6 marathons, about 15 triathlons (including Ironman), Titan desert ( 6 days btt in Moroco) etc…. I always swam in the swimming pool but never in the sea. I met Miguel Rahola 9 years ago and he talked to me about Marnaton and his projects in open water. My first time swimming in the sea was in Cadaques with him. 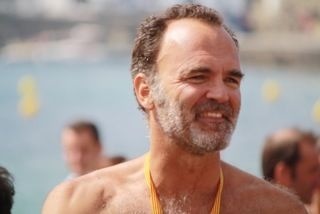 Since then, I have swum the 6 Marnatons in Cadaques, Ibiza 11kms, Strait of Gibraltar and other open water races. 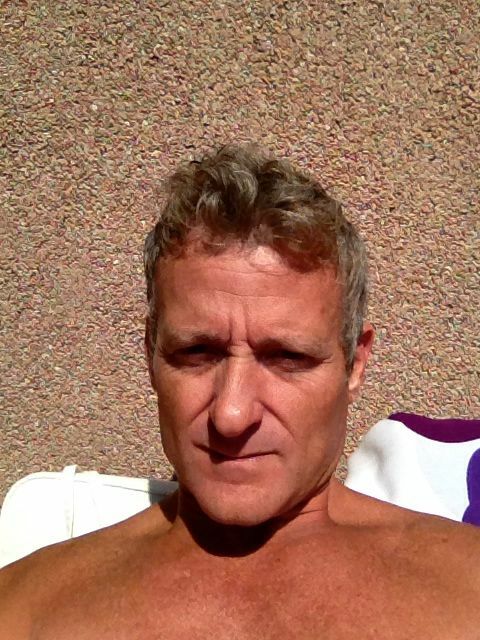 I’m very competitive and I really like and enjoy swimming in the sea with our colleagues of Marnaton! Laia del Río Puig (Barcelona). 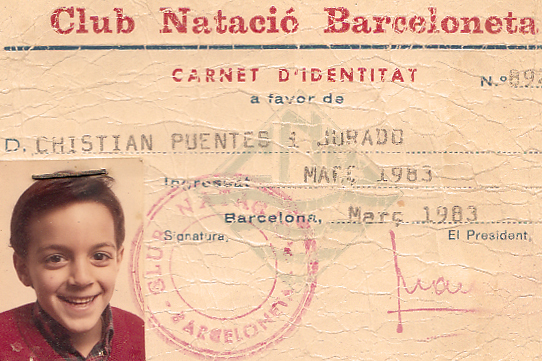 After playing basketball for 12 years, I went on to play waterpolo for the Universitat Autònoma de Barcelona. From here on, I also started competing in triathlons and this is how I discovered open water swimming. First, as a component of my triathlons, and then as a standalone sport. 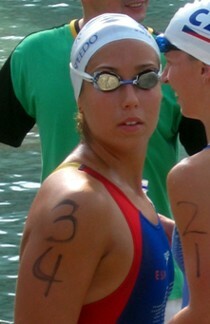 I started competing in more and more short and mid distance swims. After my father passed away in November 2012, I decided to get into longer distance swims. In 2013, I participated in the Salou Half Ironman, MARNATON Formentera (11km) and the Bocaina strait (17km). Marcello Rosadini (Mexico) has been in close contact with water most of his life. Played waterpolo as a kid and then became a triathlete and raced competitively for more than 15 years. After moving to Barcelona he’s discovered a new relationship with the sea, mostly thanks to the people in this group! He’s experiencing it from a different perspective and looking for new challenges, hopefully adding his two cents to a worthy cause. He’s raced in triathlon races professionally in several countries and lately has been an active participant in the Catalunya open water scene. Mark Drendel (Barcelona). My swiming profile would probably best be described as “intermediate/work-in-progress.” I have always loved swimming and watersports, however, and I have spent countless hours in pools and lakes while growing up, working even as a swim instructor and lifeguard before university. But it wasn’t until later in my adult years after living on the Mediterranean sea when I fully came to appreciate swimming, especially open water swimming. 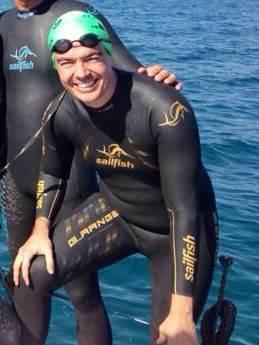 After crewing for Swim4Good’s inspiring Gibraltar crossing in 2013 – and thanks to Mauricio’s contagious enthusiasm for the sport – I have now fully embraced this world, and I am currently training to cross the Strait of Gibraltar myself, in May 2014. So am happily on my way to becoming a real swimmer soon and hopefully someday to be worthy of such incredible company here. Watch this space! Miguel Rahola (Barcelona). Swimming was one of the multiple sports I did as a child, but I was nowhere near a swimmer specialist. It was training for triathlon when I started to be hungry for long distance swimming. My love for distance swimming started in 2001 when I swam from Cap de Creus to Cadaques – 6,5 km. I crossed Gibraltar with 5 colleagues in October 2006 in a fast crossing (3h 19’) helped by a favorable stream. Other significant swims include Bocaina Strait (Lanzarote to Fuerteventura – 14 km) in 2007 and the Coruña Tour (11 km) in Galicia, in 2008. I also founded MARNATON (MAR + NATación +marathON) in 2007 with the objective of making open water long distance swimming popular in Catalonia. 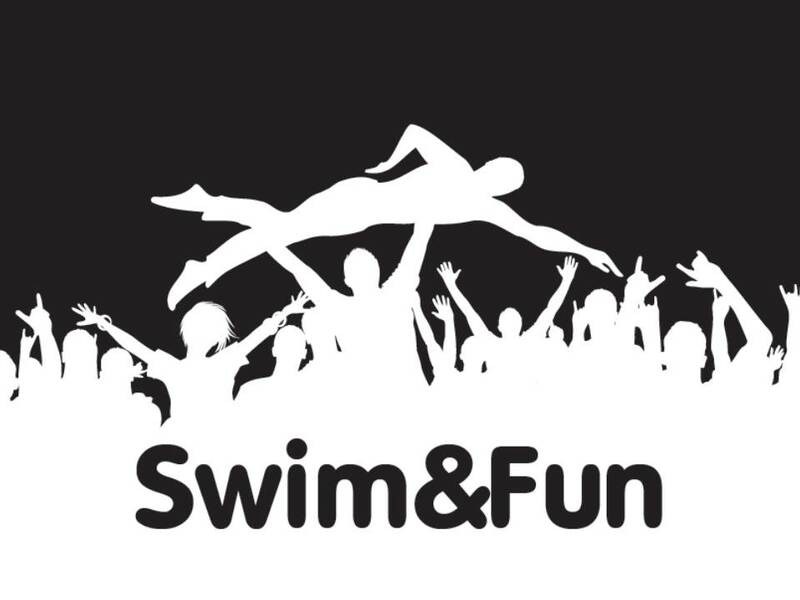 MARNATON organizes many open water races in Catalonia and the Balearic Islands and we also have daily swim pool practices for all ages and levels. Together with 3 friends, in April of this year I successfully swam the 4 events of today’s III MARNATON eDreams CUP (Barcelona, Sant Feliu, Begur & Cadaqués) in 13 hours, 6 hours swimming the 22 kms, the other 7 hours on the car or on the boat. Miki Domenech (28, Barcelona) – Sports enthusiast since the age of 3. Former ski racer, dirt motorbike (Enduro) rider, football player, tennis/padel/squash beginner, sailor, cyclist (MTB and Road), runner, swimmer and triathlon challenger. I started swimming at the age of 5 when my parents made me join the school swimming lessons. From age 8 to 14 I competed at school level. At the age of 23 I competed in my first triathlon. I thought that swimming would be like riding a bicycle, and realized that it was tougher than I expected. Several months later I signed up for my first Half Ironman and decided to join Marnaton trainings. With these, I not only discovered open-water swimming competitions, but also how to enjoy the sea from another point of view. I am finisher of Ibiza Ultrateam (12k), Marnaton Cadaques (x3 – 6.5k), Marnaton Sitges (x2 – 10k), Marnaton Begur (7k), Ironman 70.3 Mallorca (x3). On my current to do list: Ironman Austria (2015), Ironman 70.3 Mallorca (2015), Strait of Gibraltar (TBC), Relay swim across English Channel (TBC)?? 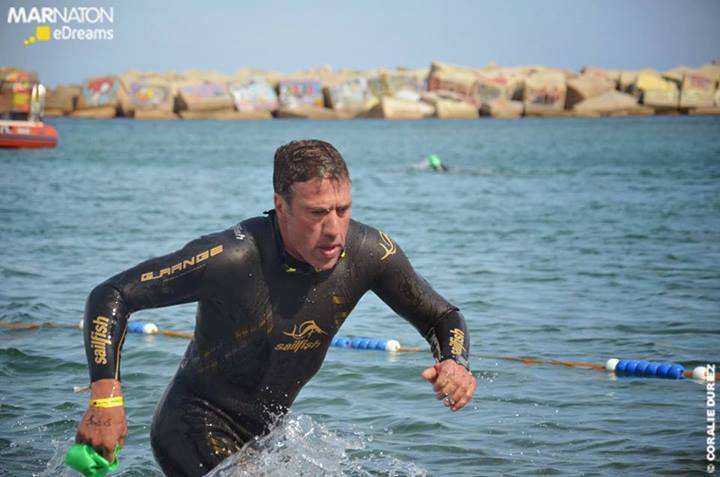 Raza Pérez (Barcelona) I started to swim in Open Waters in some classic races in the Basque Country where middle distance races with over +1000 swimmers have been taking place for more than 50 years. However, it was thanks to Marnaton with the now classic Cap de Creus – Cadaques that I fell in love with swimming in Open Waters. Also, thanks to the Marnaton year round swimming training sessions in Barcelona, I’ve been able to prepare for longer distances and meet many great people. I’m only taking my first steps in the world of open waters but so far I’ve been able to enjoy several middle distance races, 5-7 km , and others like Sitges – Port Ginesta 11Km, Formentera – Illetes 11Km, and Port de la Selva – Cadaques 22Km. I expect to cross the Strait of Gibraltar in 2015. Richard Ernst (Arizona). 45-year-old doctor originally from Mexico City and now living in Scottsdale, Arizona. Richard was a competitive cyclist in Mexico. 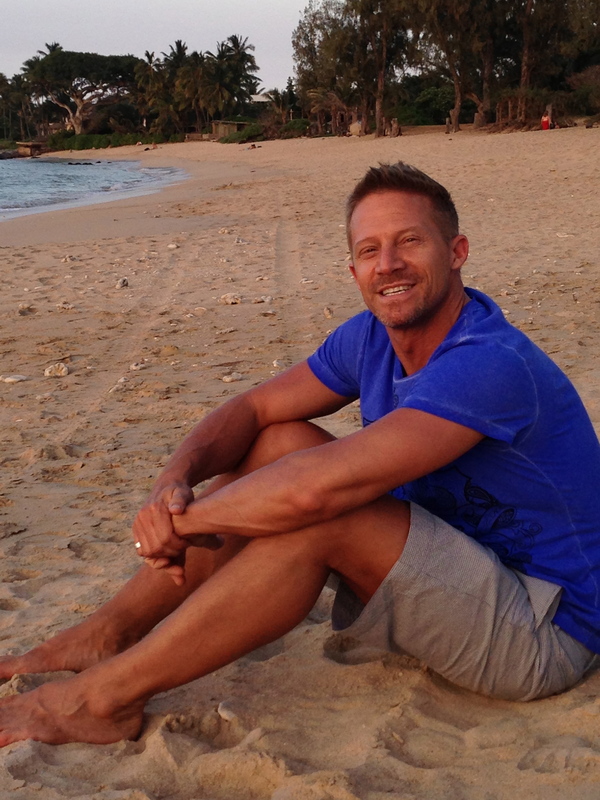 He is an Ironman triathlete and avid swimmer who began swimming in open water when living in Puerto Rico. Next June, he will participate in a 6 swimmer relay swim to attempt to cross the Sea of Cortez (162km), a joint swim between Night Train Swimmers and Swim4Good. Santi Callis (Barcelona). I am passionate about the sport & nature. I started swiming many years ago training for triathlon in Formentera Island, my favourite place on earth and one of the best waters when you can live the feelings of the sea. I discovered open water swimming in the first edition of the Cap de Creus/Cadaqués thanks to Marnaton. From this day I regularly participate in all the open water contests scheduled during the season with some of my swiming mates. In the last years I completed several other of middle and long distance challenges, including Strait of Gibraltar (18km), Port de la Selva to Cadaques (22km), and the Formentera/Ibiza Ultraswim (34km). I am currently training for Capri/Napoli Maratona del Golfo (36km) to be held (“I hope”) in July 2014. I am sure there will be much more to come and enjoy in company of open water lovers. Sergio Castelnuovo (Barcelona). I always enjoyed water as a different environment so I started swimming since I was a kid. In 2012 I decided to dive into open water events near Barcelona coast, but in 2013 Marnaton’s 11km Formentera event changed my vision and added a new word to my dictionary: challenge. I am currently training for Illes Formigues-Illes Medes (22km) to be held in June 2014. I am sure there will be much more to come to be enjoyed in great company too! Hi! I am Carolina and I’m 10 years old. I started swimming when I was four years old in Spain. This year, my dad, Mauricio Prieto, started an open water swimming team in Tiburon. We started swimming in the Lagoon, but then the lagoon got lowered so we decided to swim in the bay. The bay is really cold, but you get used to it when you start swimming some strokes. I really like swimming open water because when you are done swimming in freezing water, you feel really brave, and you feel like you can do anything. I think that swimming is a good sport because you don’t get hurt by it, and also because when you get used to the cold water, you can almost swim in any body of water. My objectives is to swim the escape from Alcatraz, and when I am fourteen, I will try to swim the Straight of Gilbraltar like my mom and dad did, although that might make me the youngest. My name is Emily. I started swimming at four months old, but I started to swim competitively at age six with North Bay Aquatics. I am 1 second away from JO time for 50 free and 100 IM. I started open water swim in early October. I enjoy swimming in open water because I love swimming and this is a big accomplishment for me. I think it’s good for me to swim because it’s a low impact sport and it keeps me fit. In the future, I want to swim from Tiburon to Dolphin Club. My name is Eve and I am 13 years old. I started swimming at a very young age, when I was a baby. I don’t swim on a team but I love to swim for fun. I basically started swimming open water when I was one because in the summer my family swims in the ocean a lot and and I swam with my parents holding me. When I was three I learned to swim by myself. I love to swim in open waters because you are so free and you can swim as far as you want. I also love to dive down to the ocean (or lagoon) floor and see what interesting stuff is down there. I think its good for me to swim because it excercises my body and it is also a very basic life skill that you use a lot. I would love to be able to swim more long distance and to be able to swim a little bit faster. 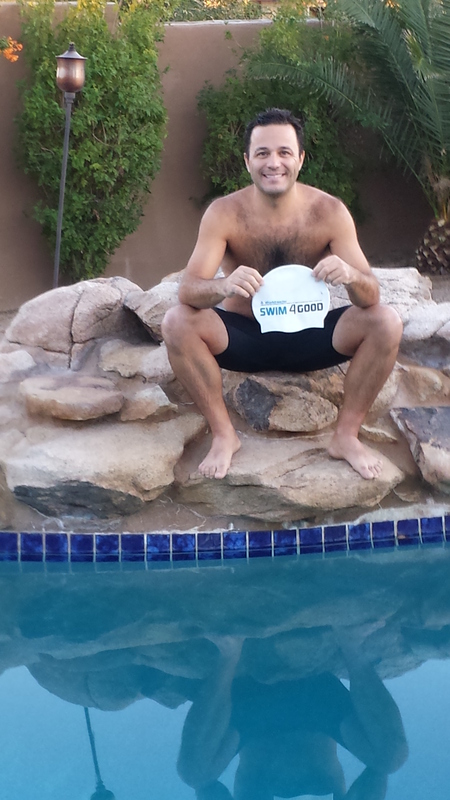 I am so glad that I got to be a part of Swim4Good because it gives me a chance to swim in the ocean even in winter. My name is Finley and I’m 10 years old. I’ve snorkeled in the Galapagos looking for Hammerhead Sharks, gone swimming at midnight in the Mediterranean, jumped off two story boat houses into a lake in Georgia and now I swim in the San Francisco Bay without a wetsuit! It all started with a pool and a big sister who taught me how to swim. 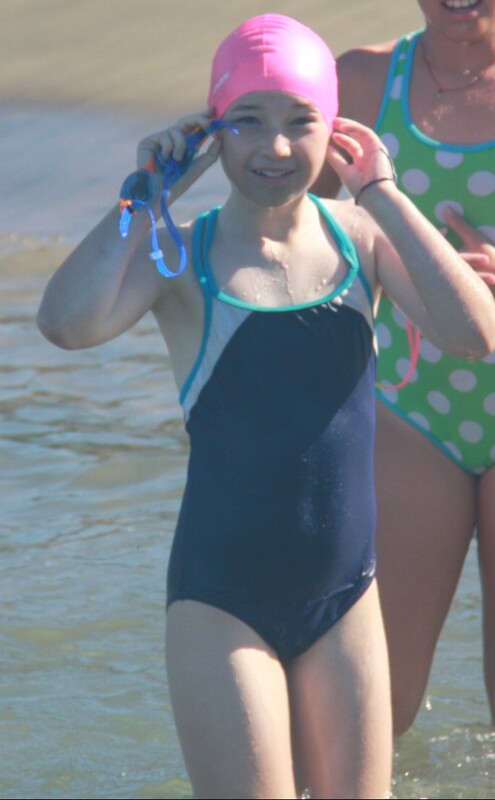 When I was about seven I started swimming with the North Bay Aquatics swim team and also tried water polo this year! I’ve met some new friends along the way named the Prietos. They are big encouragers for my swimming. Mauricio Prieto started an open water swimming group for girls and invited me to join. After a few weeks of swimming in the Lagoon in Tiburon, Mauricio took me in the bay with his daughter Carolina and a few other girls. That weekend I went in the ice cold water WITHOUT A WETSUIT and swam about half a mile – and I haven’t looked back since. 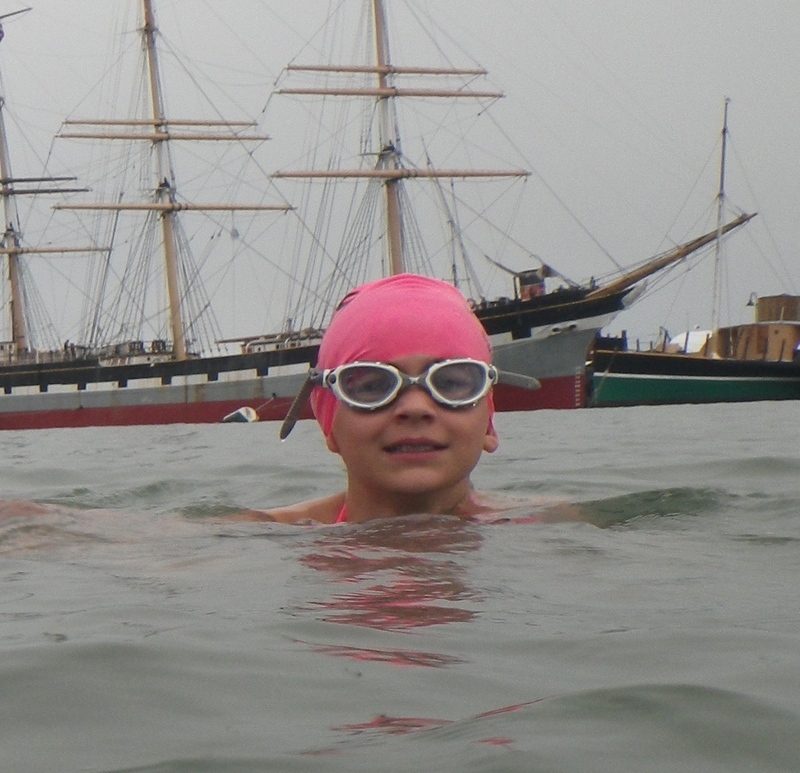 Now we regularly swim in Aquatic Park and we like to spread the word of open water swimming. My name is Olivia. 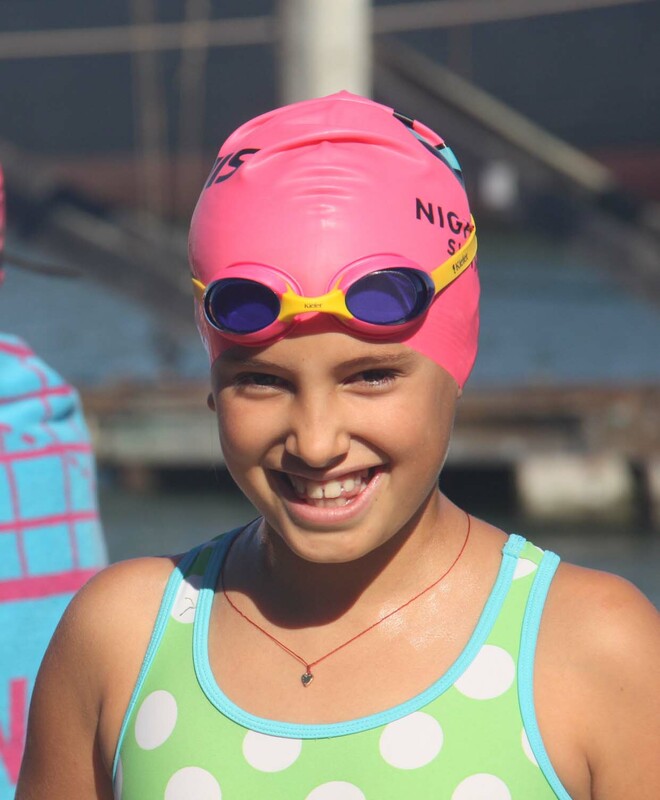 I have been swimming since I was six months old, but I started to swim competitively at age eight with North Bay Aquatics. 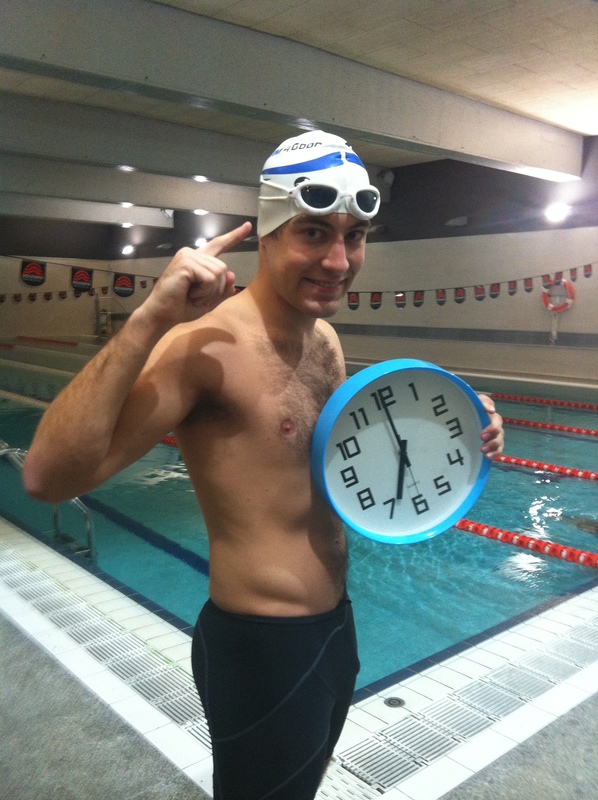 I got my first JO time for 50 free in 2013 at 32:19. Open water swimming was introduced to me in early October of this year. I found a love for it because it wasn’t like swimming in the pool. It was a different experience that was always an adventure, not to mention how much colder it was! Swimming is good for me because it keeps me heathy and self motivated. The swim team matters, but in reality you are racing yourself. I like this because I can only compare my times or my progress to myself, and I am the only member on my team. In the near future, I want to swim from Alcatraz to the Dolphin Club. But, eventually want to swim the English Channel. My name is Orla – I am 10 years old and I have been swimming since I was very small, in fact, like my sister Eve, I was born in the water. Every summer we are in Cape Cod and I do a lot of sea swimming and diving for fun, I love being in the water and all water creatures, I haven’t ever been on a swim team though. I began open water swimming when I started with my friend Carolina and her father Mauricio. We began in the lagoon where they live and now swim in San Francisco Bay which is quite chilly, but I don’t mind. I love open water swimming because I like to have a goal and it makes me feel like almost anything is possible. Its so different from being in a pool because you can’t put your feet down and you have to keep going. I am excited about training for new Open Water challenges. Hi, my name is Skylar. I started swimming when I was really little and I started swimming competitively when I was 7. I am now 12 and on the Strawberry Seals swim team, and my favorite events are breast- stroke and IM. My family travels a lot and I really like swimming in oceans, lakes, rivers, and pools. Some of my favorites include swimming across Donner Lake, swimming in the Costa Brava (we lived in Girona, Spain for 2 months) and swimming in glacier water between 33 and 39° Fahrenheit in Canada. Open water swimming is my favorite thing to do because I love the way it makes me feel. When I am swimming, every thing going on in my life is nothing big compared to the big water, and the coldness of the water allows all worries to fade. I have many goals for open water swimming. Some of them include swimming the length of the golden gate bridge, swimming from Alcatraz to the Dolphin Club, and swimming the English Channel with Olivia Fee.